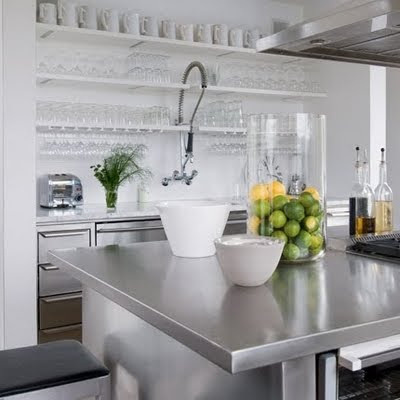 Trying to think of an inexpensive kitchen fix for our temporary kitchen in Sydney. Found these images in my files pinched from my favorite blogger Erin Olsen. 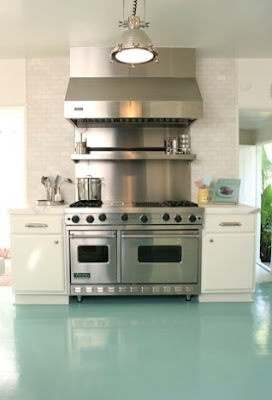 I am loving the inexpensive linoleum floors and the revamped 50s cupboards slapped with a coat of paint for a good sprucing. Open shelving will give me cheap extra storage space to tie me over. Might have to wait for the stainless counter tops though but my buttercup yellow ones will have to go regardless. Some cheerful new slipcovers for my barstools like those of Absolutely Beautiful Things blogger, Anna Spiro won't break the budget. 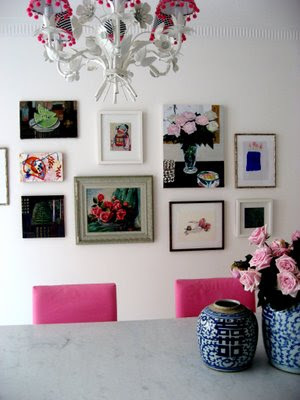 And a cute cluster wall will make a small space charming even if a little "tight". 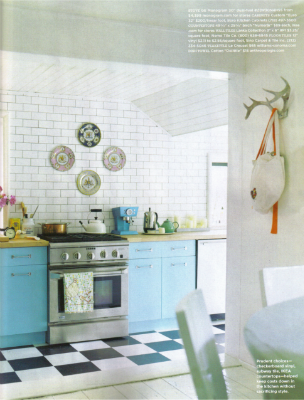 Don't you just love Anna's kitchen?! I love the chandelier (those shades are A-D-O-R-A-B-L-E!) and the slipcovers...*sigh*. Such pretty art too. Love it all! 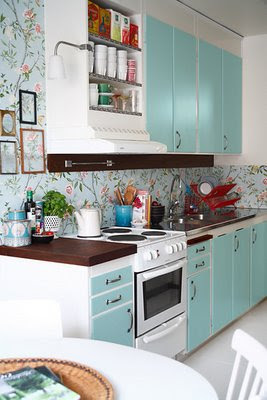 I love the kitchen with the blue cabinets and the Chinoiserie hummingbird wallpaper. This website is shown some gallery about the legend personalities. I like it very much because every body have to play an amazing role in some ones life. Some time this will become a moral for all over the universe. So its amazing and im here to describe about our affordable SEO services in Canada that are ultimate.